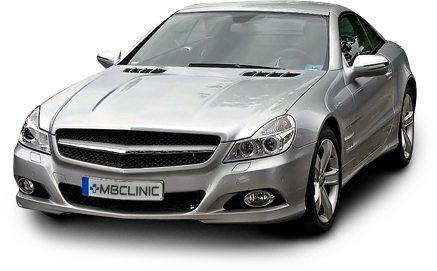 Exclusive Service & Repair of Mercedes-Benz Vehicles MBClinic is an independently-owned service and repair facility for Mercedes-Benz vehicles and is not affiliated with Mercedes-Benz USA, LLC. Mercedes Clinic & Sales has outstanding customer service, they're reliable and honest. If you schedule an appointment ahead of time, we can arrange a FREE Mercedes loaner car for you! Full coverage insurance. 21 and older. Is your Mercedes still under warranty? No problem! We can perform ALL service at lower prices! When your vehicle is for repair, we will always offer to show you the parts replaced and offer guidance on your vehicle's other possible issues. If traveling through San Antonio visit Goose Automotive to service your Mercedes. Visit their site here. We employ the same diagnostic equipment and OE parts that the dealers use! Does Your Car Need a Check-up? Give us a call or click the button to the right and we'll get you in to see the doc! We do ALL service work at COMPETITIVE prices…and you get the same exceptional workmanship, elite diagnostic services, Original Equipment Manufacturer (OEM) parts and impeccable care you’ve come to expect from every Mercedes-Benz exclusive facility!